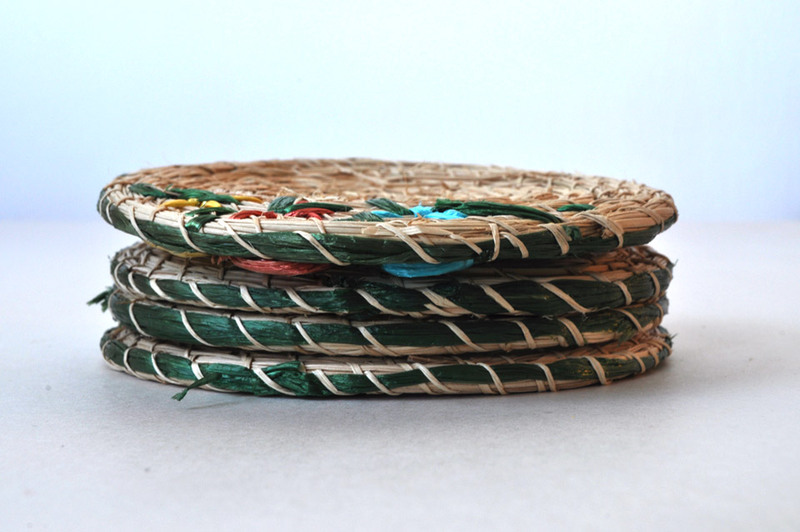 Woven Straw Coasters. Tropical Theme. These were a gift. They qualify as one of those items that hang around mainly due to the gift guilt / sentimental clutter factor. And yet in photographing them, their kitschy beauty shines through. They are definitely not functional. They puff up in the middle and if you place a glass on them, it wobbles precariously. You might spill that rum punch if you’re not careful. Perhaps that is their hidden intention of design — to measure your state of sobriety. Status: Wait till next summer and have a party on the beach with punch. Spiked and non-spiked. Alt-title: Untitled Object No. 233 For Balancing Out Regrets. Speaking of guilt, I feel guilty I haven’t yet posted this Alt Title Post, my thank you for a recent blog award, and my OT karmic updates. Hey, like everyone else, I’m busy:) Until then the usual thanks go out to the usual suspects: Notes to the Milkman and The Future is Papier Mache regarding this Untitled tomfoolery, Alt-title”Jokes” as closing for a post inspired by Ben‘s joke format at the end of his posts. 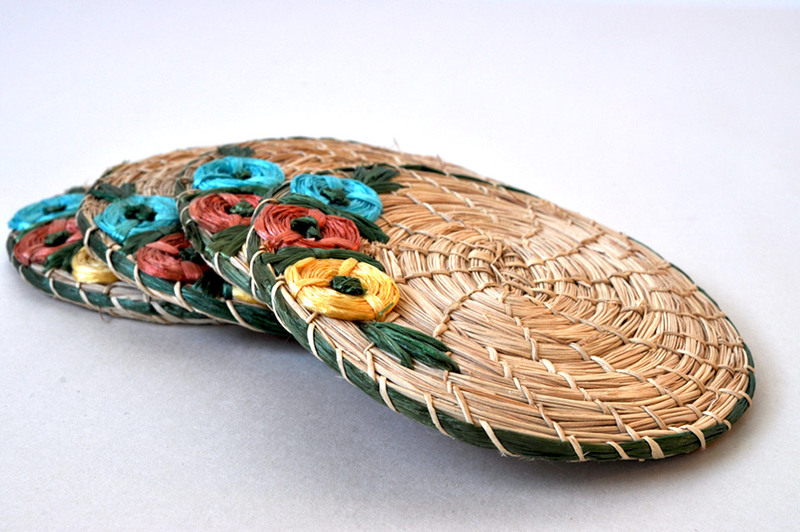 These would hang around in our house for many years, with the wooden fruit and the unidentifiable knife.